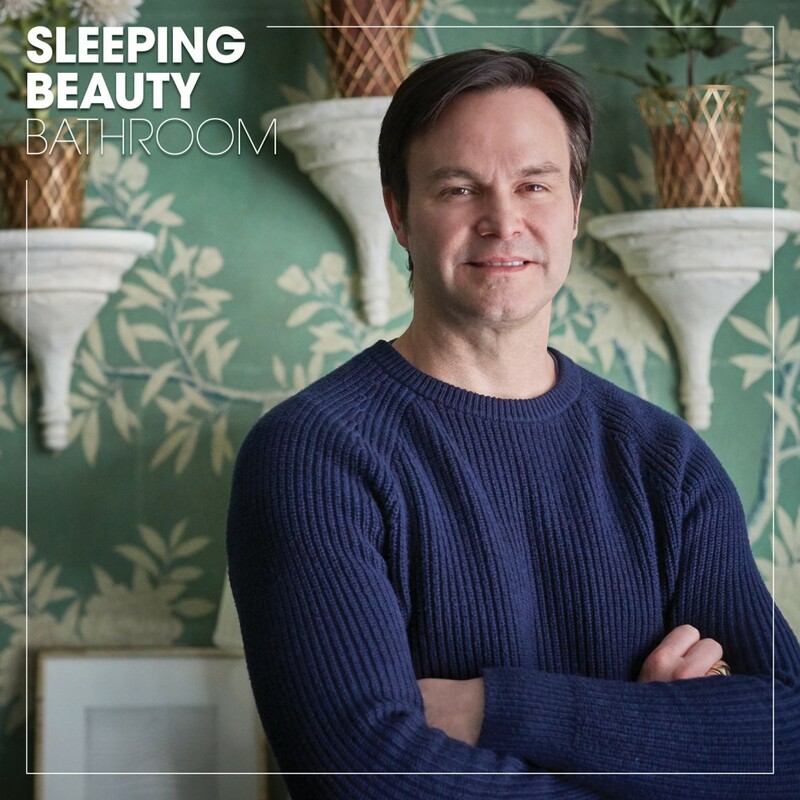 Designer Mark Sikes creates a cohesive royal story with a bedroom and bathroom that bring contemporary elements to classic designs. 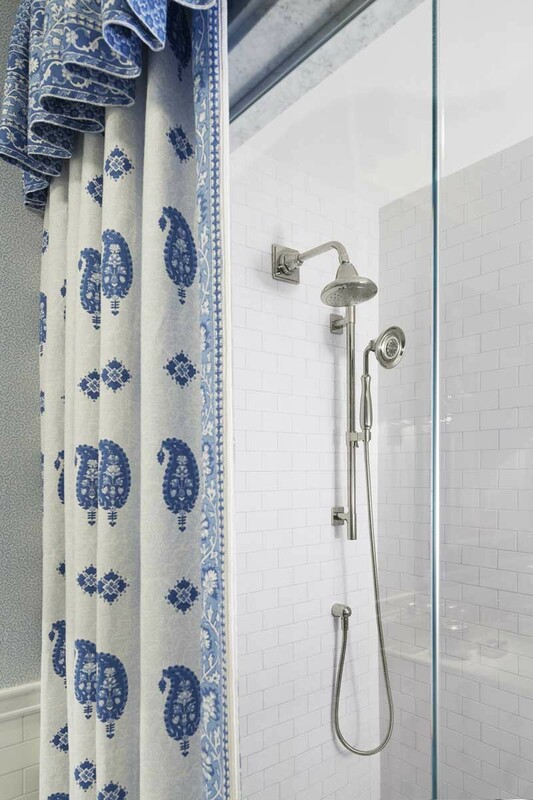 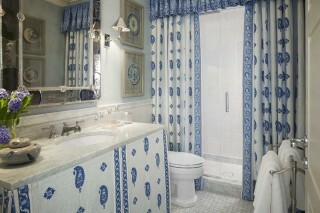 His new Schumacher fabric collection in delicate blue paisley prints adorns the vanity and shower and brings a delightful surprise to the space. 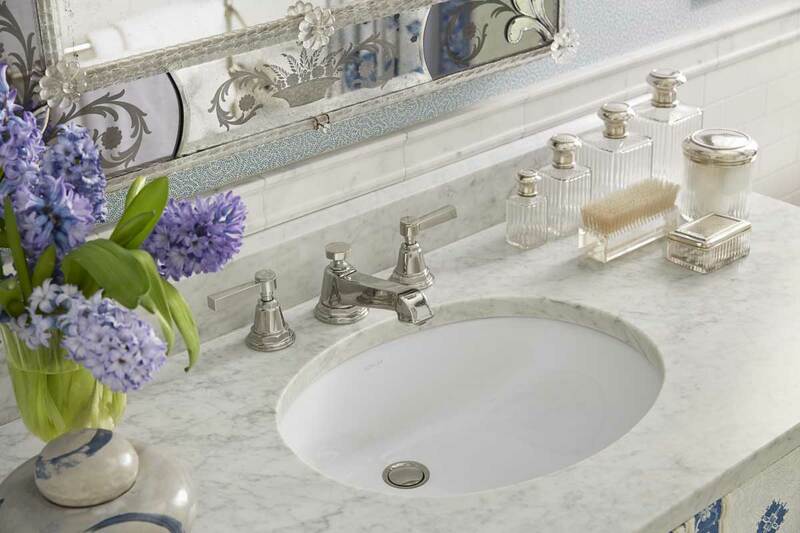 A splash of timeless elegance from the Pinstripe faucet and showerhead, both in Vibrant® Polished Nickel finish, and the Kathryn toilet all nod to the past while staying refined and modern. 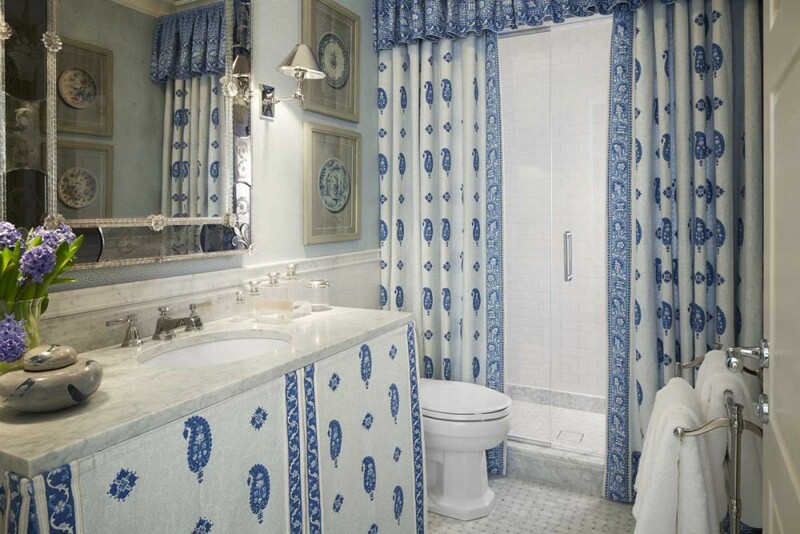 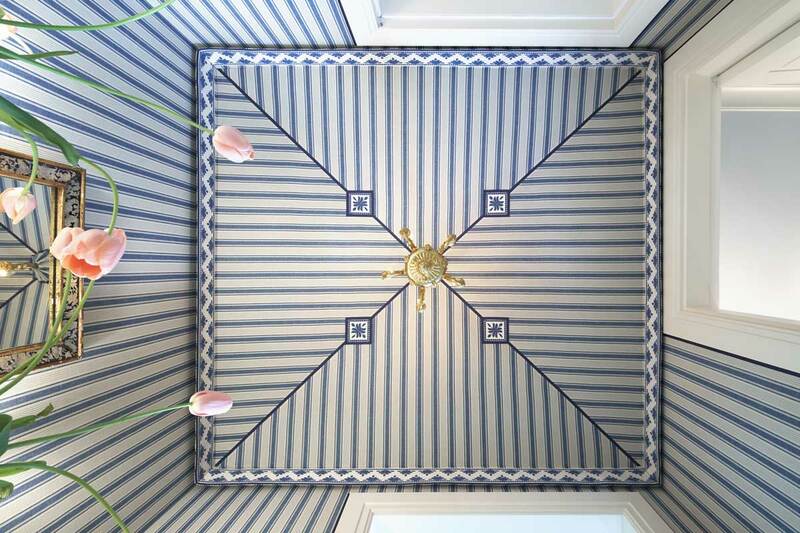 The overall effect of the space is a design with lasting allure that is sure to stand the test of time.